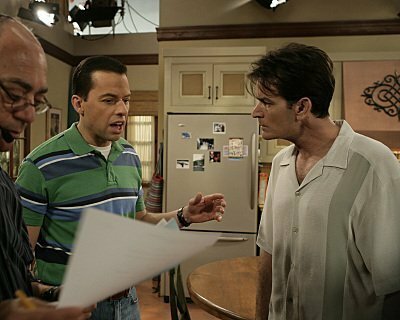 Charlie and Alan Harper. Charlie Sheen as Charlie Harper and Jon Cryer as Alan Harper.. Wallpaper and background images in the Два с половиной человека club tagged: two and a half men charlie sheen jon cryer alan harper charlie harper sitcom tv comedy. This Два с половиной человека photo might contain пивной бар and пивной ресторан.